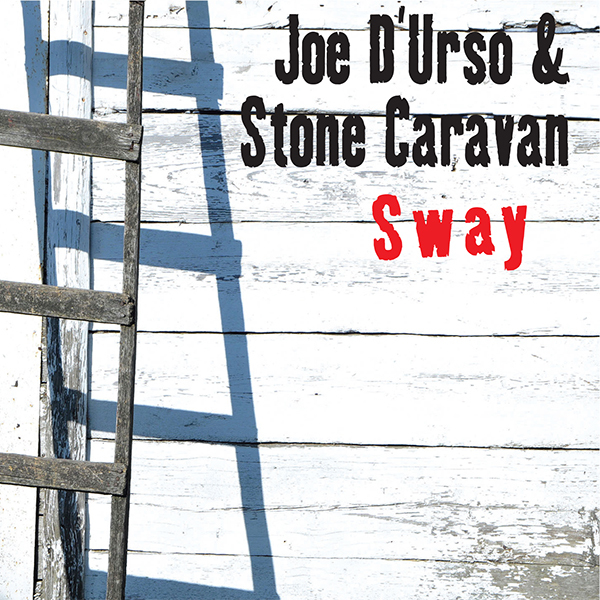 "Sway" is the 13th release from Joe D'Urso & Stone Caravan since 1991 and includes nine new original D'Urso songs/co-writes: "Brand New Start," "Come Down Tonight (Asbury Park)," "Sway," "Hanging Out in Tucson," "Love Her Blues" and four others. Three songs by: "It's Been A Long Time" by Steven Van Zandt, "One Guitar" by Willie Nile and "I'll Take All The Blame" by the late Terence Martin. Another rocking CD in the a long line of releases that have always been centered on songs, rock and roll and thought-provoking ideas. Joining Joe, Sam LaMonica, Mr. Lou E. DeMartino and Greg Gregory C Lykins on this CD are Rita Harvey, Tony Pallagrosi, Steve Pavia, The Maddog Horns, Greg Talenfeld and Neil Berg.